Wash hands. Wash all fresh, unpackaged produce under running water. Drain well. Stir together the zest from one lime, the juice from three limes, sugar, ¾ teaspoon of pepper in a bowl. Add the watermelon, cucumber, mango, jalapeño, onion, and basil then toss. 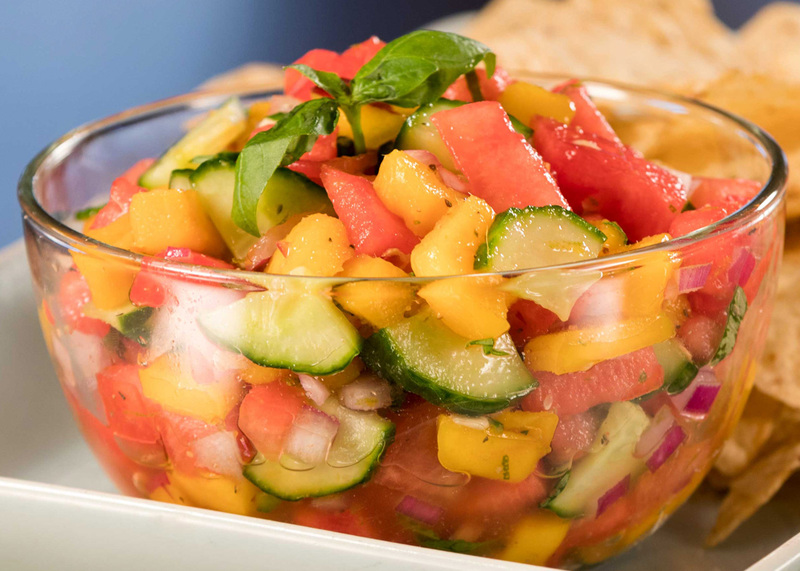 Chill salsa until ready to serve. CCP: Product must be cooled to a maximum internal temperature of 41°F or less, within 4 hours. Add the garlic salt just before serving. Serve with chips.